Open the project centre and click in the file menu on „CNC Database“ > „CNC Machining“. Select the system in which you want to use the notch. Click on the button „Add“ to create a new entry for the notch. Select under „Group Type“ the option „End Machining“. Under “Reference Profile” enter the profile on which the notch shall be used. Select under „Face“ the option „Face 4/5“. Enter at „Face Right“ the option „Face 1“. Select in the first tab under „Type“ the option „Notch“. For „Reference Y“ enter O1. 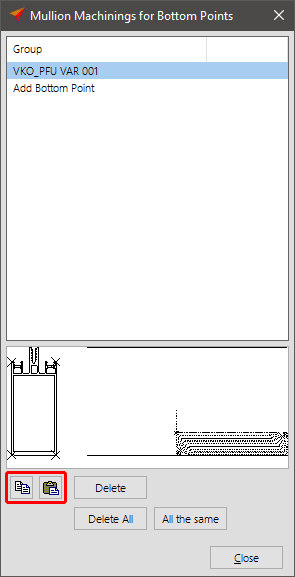 Under „Reference End“ select „I1“. Enter the following formula under „Depth“: (x2-x1)+25. The value +25 determines the machinings up to the transom axis. If the value +25 is not entered, the programm determines the machinings to the lower edge of the transom. To finish the input of the machining click on the button „Save“. 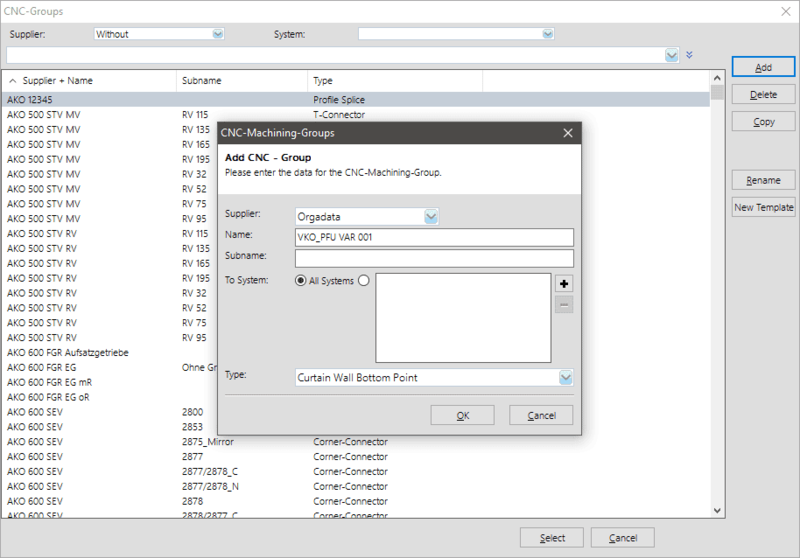 Click in the project centre in the file menu on „CNC Database“ > „CNC Groups“. Create a new group by clicking on the button „Add“. Select the supplier and enter the description of the CNC group. Select under „Type“ the option „Curtain Wall Bottom Point“ (or Curtain Wall Top Point“) and click on „OK“. Under „Profile 1“ you enter the profiles on which the notch shall be used. Therefore click on the button „Add“ and select the profiles. Under „Machining“ you enter the machining you created before. Therefore click on the button „Add“ and select the machining. 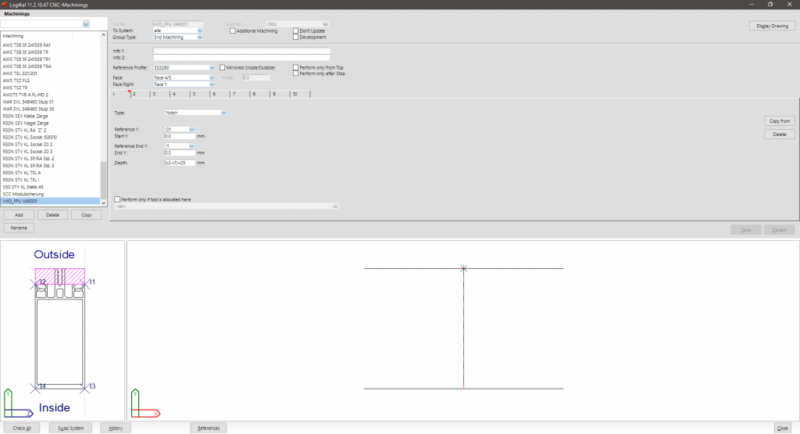 Create a curtain wall in the element input and open the CNC-Machining area. Click on the option „Bottom Points“ on the left. Select the mullion in the position view on which you want to apply the notch. 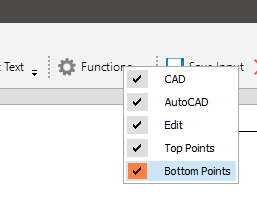 Click in the dialogue „Mullion Machinings for Bottom Points“ on „Add Bottom Point“. Select the group you created before. If the group shall be applied to all mullions, click the „All the same“ button below. 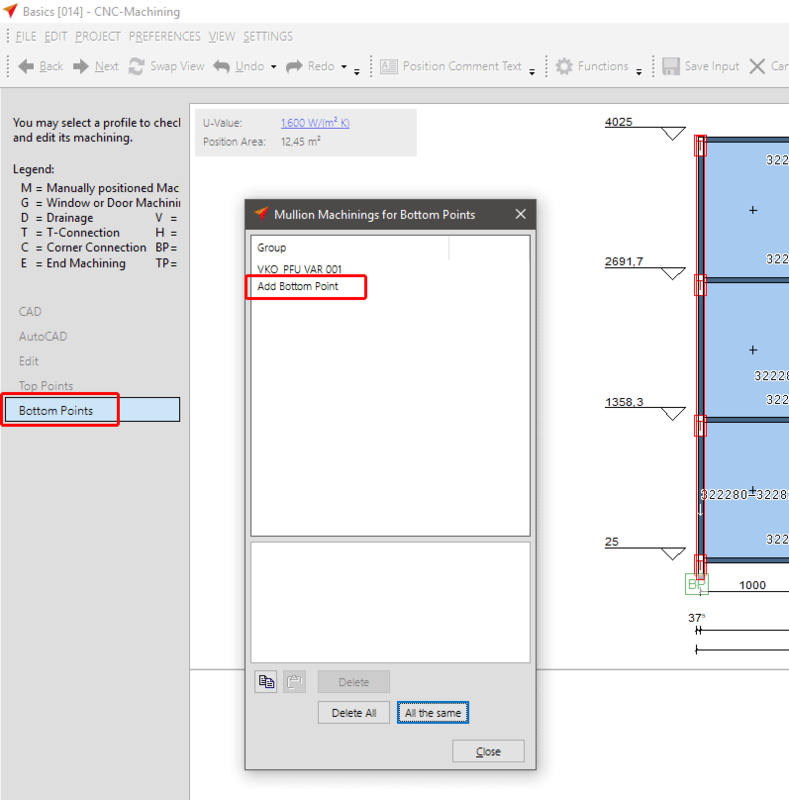 Select the mullion and the group and click on the Button „Copy“. 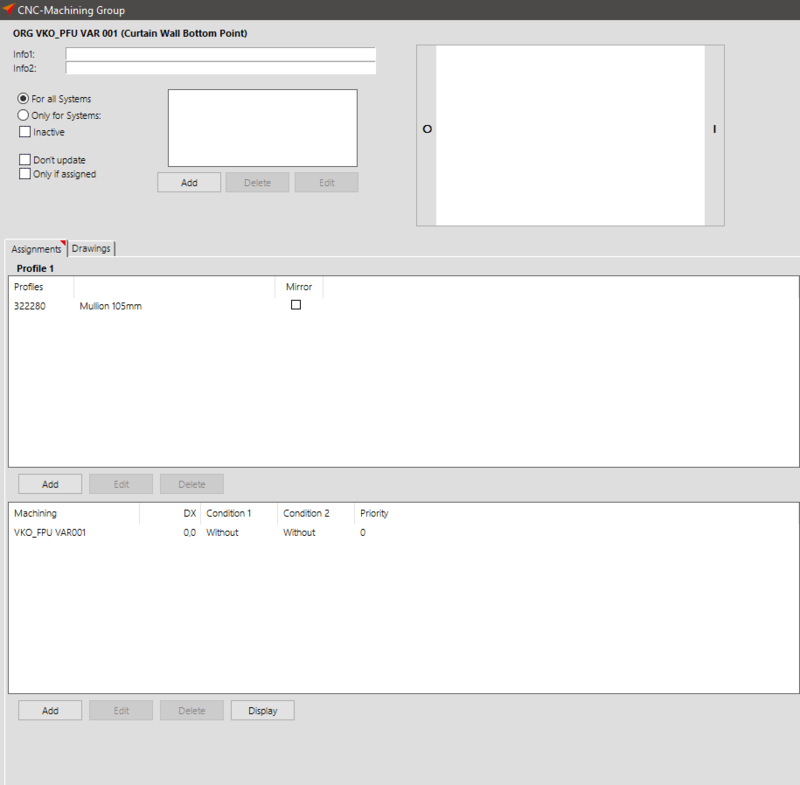 After that select the mullion on which the group shall be inserted and click on the „Paste“ button. Please note that you can not select several mullions at once. 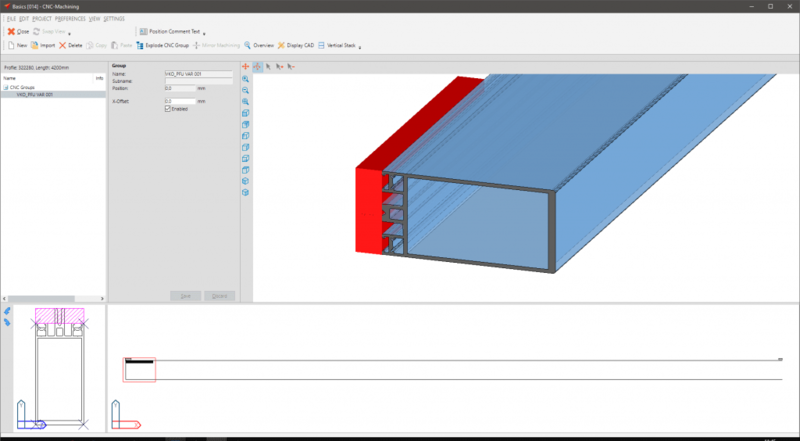 To view the result switch to the 3D view of the mullion.